A "clean coal" project with behind-the-scenes backing from top administration officials and nearly half a billion dollars in federal subsidies intended to support the case for stringent environmental regulation may instead show why those regulations are illegal. Environmental Protection Agency chief Gina McCarthy hoped that the Texas Clean Energy Project (TCEP) would demonstrate the viability of carbon capture and sequestration technology, which reduces emissions from fossil fuel power plants by capturing and storing greenhouse gases underground. More than six years since the Department of Energy (DOE) began subsidizing the TCEP—it has obligated $450 million and disbursed about $116 million since 2010—the project is still in its planning stages, cannot draw the private investment it needs, and won’t be up and running until at least 2019. In a report released on Friday, DOE’s inspector general recommended that the department cut its losses and withdraw from the TCEP completely if the project cannot demonstrate significant financial progress in the near-term. "The Project’s inability to obtain required commercial debt and equity financing and the adverse effect of changing energy markets on the demand for coal-based power plants raise serious doubts about the continuing viability of the Project," the IG wrote. The project’s decline could pose a challenge for Environmental Protection Agency regulations that rely on carbon capture and sequestration (CCS) and similar technologies to justify regulations that critics say are unachievable. One group suing the EPA said it will be bringing up TCEP’s financial problems in ongoing litigation seeking to block emissions restrictions on new coal-fired power plants. Internal EPA emails obtained by the Free Beacon show that the agency’s top officials were working behind the scenes to ensure that the Texas Clean Energy Project moved forward. At the same time, the agency was designing power plant regulations that would rely on CCS technology that TCEP could validate and support. The EPA did not respond to a request for comment on this story by press time. EPA emissions restrictions on new coal-fired power plants, regulations known as New Source Performance Standards, all but require the use of CCS technology. The agency insists that requirement does not put compliance out of reach for coal-fired power plants, and therefore does not run afoul of federal laws prohibiting environmental regulations that are commercially or practically unachievable. "Current and planned implementation of CCS projects, combined with the widespread availability and capacity of geological storage sites, makes it clear that the technology is feasible," EPA insists, citing ongoing projects that include TCEP. The project’s immense financial problems suggest that its feasibility is not as clear as the EPA claims. The agency’s critics say that few CCS projects stand a chance if TCEP can’t survive; the project is in dire straits despite extensive administration efforts to keep it on track, funded, and unencumbered by red tape. The Texas Clean Energy Project’s cost was initially pegged at $1.9 billion. The Department of Energy entered into a cooperative agreement with Summit Power, TCEP’s parent company, in January 2010, agreeing to a $350 million subsidy, $216 million of which came by way of the American Recovery and Reinvestment Act, better known as the stimulus. The Treasury Department awarded the project $313 million in green energy investment tax credits in April 2010. The DOE gave it another $100 million in June. The TCEP also received financing from the Chinese government’s export promotion agency. Like many beneficiaries of Obama administration green energy subsidies, Summit Power is politically connected. Top executives at its TCEP subsidiary include the former heads of DOE and the Department of the Interior. Summit’s top CCS executive previously helped develop carbon-trading policies at EPA. When EPA officials began discussing the project in 2010, one noted the involvement of former Dallas mayor Laura Miller, then a Summit project director. "The Project objective was to demonstrate the integration of a commercial power generation plant with carbon dioxide capture, transport, and geologic sequestration," the IG noted. However, problems began almost immediately. The Department of Energy aimed to finance the project’s planning stages through the department’s Clean Coal Power Initiative. By December 2010, DOE projected, TCEP would have secured the private financing necessary to bring the project into its construction phase. However, TCEP still had not secured that financing by February 2016 and the project remains in the planning stages to this day. Its projected price tag has more than doubled from $1.9 billion to $3.9 billion, and the EPA has spent $100 million more than initially planned on the project’s first phase. Rather than shield taxpayers from the project’s ballooning costs, DOE has gone out of its way to accommodate and further subsidize the project despite its lack of progress. Project delays eventually cost the TCEP $100 million in taxpayer funds, which expired in September 2015. At Summit’s request, DOE awarded it another $100 million to make up for that shortfall. The department told the inspector general that it stopped disbursing money for the project in February due to delays and concerns about its financial viability, and that it will not restart funding until TCEP secures the financing it was supposed to have more than five years ago. However, that suspension of federal funding was only communicated verbally, never put in writing or given any official imprimatur. The department has declined to enforce previous restrictions on the disbursement of further taxpayer funds, raising the possibility that it could resume funding for the project even without significant steps towards financial solvency. "The Department incorporated milestones into the cooperative agreement that had to be completed by specific dates for the Project to receive additional funding," the IG noted. "Despite Summit’s inability to meet established milestones, the Department continued to support and provide funds for the Project." The Department of Energy is already planning other ways to expedite construction, but the IG says they could actually produce more delays and further drive up costs to taxpayers. "The Department intends to allow the start of Project construction while final detailed engineering efforts are ongoing," the report revealed. "Without final designs in place prior to construction, the probability of changes in plant configuration are greatly increased, which could further extend the Project’s completion date and further increase costs." "The plant is a first-of-its-kind facility, and a significant portion of design work, approximately $270 million, remains to be completed." High-ranking Obama administration officials worked behind the scenes on Summit Power’s behalf precisely because its TCEP facility was one of a kind and supported the legal and political cases for the EPA’s power plant regulations. To counter allegations that the EPA is trying to shut down the American coal industry writ large, officials insist that CCS technology and other coal plant retrofits will allow the industry to comply with its restrictions on power plant emissions in ways that are not cost prohibitive. Federal law stipulates that environmental regulators can only mandate the use of emissions reduction technologies if they are "adequately demonstrated." According to Republican lawmakers, the TCEP cannot legally satisfy that standard due to its reliance on taxpayer money. Conservative and industry groups are currently suing the EPA, claiming it is violating federal law by imposing practically or commercially unviable requirements on new coal-fired power plants by requiring that they use CCS technology to reduce emissions. If the TCEP can’t demonstrate the viability of CCS despite its generous taxpayer backing, they say, CCS projects operating on the open market have no chance to do so. One of the groups currently suing the EPA, the Energy and Environment (E&E) Legal Institute, says that the TCEP’s financial troubles support its case, and that it will bring up the project in its ongoing lawsuit against the agency. "I think it is fair to say that the failure of the Texas project … will definitely be raised in the litigation over EPA's New Source Rule under Section 111b of the Clean Air Act," E&E said in an emailed statement. As it began crafting its power plant regulations, the agency saw a chance in the TCEP to preempt that legal objection by demonstrating that CCS could be implemented on a large scale, emails show. Assistant administrator Gina McCarthy, who was later confirmed as the agency’s chief, and Al Armendariz, then the head of EPA Region 6, which includes Texas, went to go to bat for the TCEP project in December 2016. "Al and I spoke about this facility last week and apparently there seems to be a great deal of interest in moving ahead with this permit since it is a large scale CCS unit," McCarthy wrote to a deputy. That email and others discussing the TCEP were obtained by E&E through Freedom of Information Act requests and shared exclusively with the Washington Free Beacon. McCarthy wanted to ensure that the TCEP received approval from state regulators in Texas and worried that top environmental groups, specifically the Sierra Club, might oppose the project out of a general hostility to coal power. "People area [sic] bit anxious that the permit might be appealed and the delay will bring them beyond Jan 2. Do you guys have any idea if there is NGO opposition? Do you know where Sierra Club is?" McCarthy wrote to an aide. She asked for the phone number of the Sierra Club official working on the TCEP. A few weeks later, the Sierra Club voted not to contest the project. "Excellent," McCarthy wrote. "It'll be nice to someday see a full-scale CCS unit up and running," said Armendariz. He added, "Admit it, Gina. We HAVE TO be your favorite region. :)"
Armendariz resigned two years later after he was caught on video comparing EPA’s enforcement approach against the coal industry to ancient Roman crucifixions. His email to McCarthy is dated November 14, 2010. By the following month, Summit was expected to have private financing in place. That never materialized, and neither did the EPA’s hoped-for demonstration of large-scale CCS implementation. There is evidence that top officials at EPA and the Sierra Club, who collaborated extensively in crafting its emissions regulations, knew that coal-fired power plants would be unable to meet the new standards and would have to shut down. They joked in private conversations that EPA’s public statements to the contrary were untrue. The agency pointed publicly to a Canadian CCS project at an Alberta coal plant called Boundary Dam as evidence of the technology’s viability. The plant has "demonstrated [CCS] to be technically feasible and is in use or under construction in various industrial sectors, including the power generation sector," the agency wrote. Since then, the Boundary Dam CCS experiment has seen its costs soar, and experts are pessimistic about Canada’s ability to scale the technology. Citing Boundary Dam, Sen. Joe Manchin (D., W.Va.) accused the EPA last year of "prescribing a technology that has not been adequately demonstrated, in its ongoing ambition to set a lead-example for the world at the expense of the U.S. consumer." 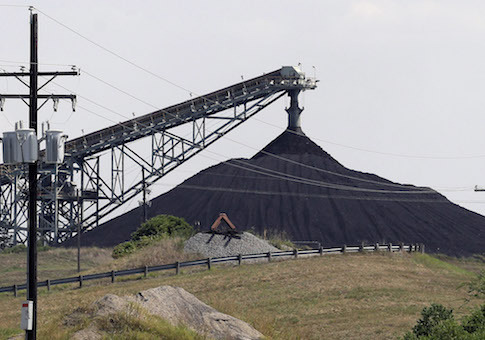 The EPA "should immediately rescind this regulation, which has been left without an ‘adequately demonstrated technology leg to stand on,’ and allow the U.S. coal industry out from under this unfair regulatory overhang," Manchin wrote. The Carbon Capture and Sequestration Technologies Program at the Massachusetts Institute of Technology currently lists three "large scale power plant CCS projects" in the United States: the TCEP and two that are under construction. None are currently operating. Fifteen such projects have been canceled, according to MIT. The Department of Energy’s inspector general attributed the Texas Clean Energy Project’s financial woes to adverse market conditions created by cheap natural gas. But the CCS industry itself told the EPA during its rulemaking process that the technology could not be implemented on a large scale and that EPA was actually jeopardizing future CCS deployment by foisting it on the coal industry before it is practically or commercially viable. "In our view, the practical aspects of developing a technology … have been short-circuited by EPA’s blanket assertion that [carbon capture] technology is commercially demonstrated," the Institute of Clean Air Companies, a trade association representing CCS companies, told the EPA in 2014. Supporters of the EPA’s power plant regulations claim that continued innovation and investment will allow CCS companies to adequately scale the technology. "Since CCS technology is just reaching commercial maturity for power plant applications, its costs are still relatively high," according to the Center for Climate and Energy Solutions, which supports EPA’s power plant regulations. "However, as with any new technology, costs will come down as developers gain experience and new innovations are made," CCES said in a fact-sheet on the regulations. The EPA’s rush to get CCS online is preventing that from happening, according to the trade group. "ICAC believes that the proposed rule takes away any incentive for making the incremental improvements in CC technology that are necessary for moving from first-generation to second generation technology, and the ultimate deployment of CC technology on a widespread basis at least cost," the group wrote. ICAC also noted the difficulty of finding financing for CCS companies, a problem that has plagued the TCEP. "Financing an unproven technology is extremely difficult, and commercial sources of financing are currently extremely problematical." The Texas Clean Energy Project’s business model depends on its ability to use the carbon dioxide that it captures and sequesters in a process called enhanced oil recovery (EOR). In its financial justification for its power plant regulations, the EPA projected that "CO2 flooding," an EOR process for extracting oil from previously depleted wells, would offset the macroeconomic costs of its regulations. However, the resulting increase in oil extraction and use would produce more carbon dioxide than the amounts sequestered for use in the EOR process, according to the EPA’s own data. For each metric ton of carbon dioxide used for EOR, the resulting boost in oil production produces an average of 1.6 metric tons. In other words, the best-case scenario for the Obama administration may be that a project designed to reduce greenhouse gas emissions lives on to do the opposite. This entry was posted in Issues and tagged Coal, EPA, Gina McCarthy, Obama Administration. Bookmark the permalink.